This textbook on atmospheric thermodynamics is for students of meteorology or atmospheric science. 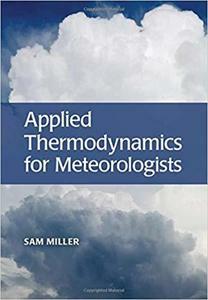 It also serves as a reference text for working professionals in meteorology and weather forecasting. It is unique because it provides complete, calculus-based derivations of basic physics from first principles, and connects mathematical relationships to real-world, practical weather forecasting applications. Worked examples and practice problems are included throughout.